@Xbox and @MajorNelson tweeted the titles as part of their Monthly Gold updates, this month’s updates are a mixed bag across the platform with both Xbox 360 and Xbox One having an odd mix of games to feature. This month’s Xbox One offering starts with the couch co-op action space shooter ‘Lovers in a Dangerous Spacetime’. This colourful and creative 2D shooter sees you and 3 other mates take on the alien fiends in a battleship that you traverse through the many folds of space. Each friend taking a different role within the vessel, it’s your job to make sure the ship arrives at it’s destination in one piece. All in all, not a bad game to play socially but if you’re feeling in the mood for some single player, non social style of game, this is not the droid you are looking for. 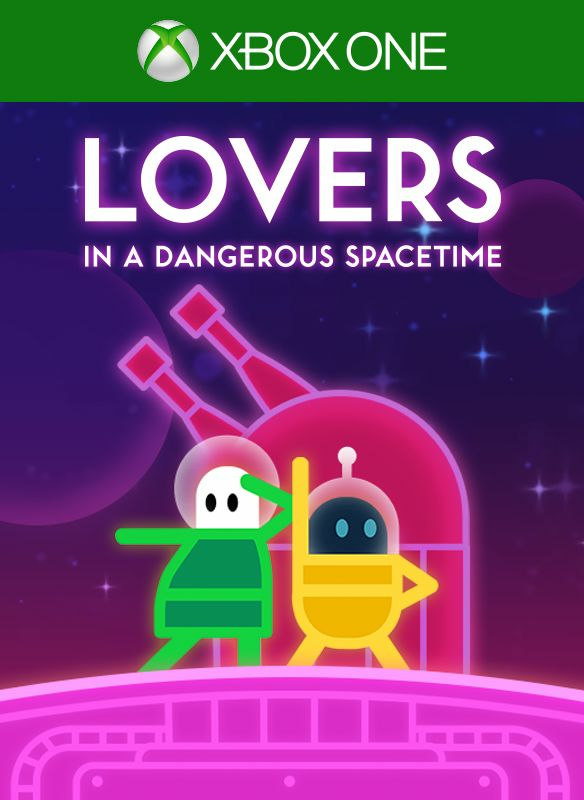 Lovers in a Dangerous Spacetime is currently available to download for free until the end of the month. Second out of the gates for Xbox One is the beautifully crafted racing simulator ‘Project cars’. Any racing fan would more than likely have already picked this title up and maybe already put it back down in favour of Forza but now it’s time for us ‘norms’ to take the driving seat and see what we think of the franchise especially with the second installment on the way. Customize and configure your cars from the inside out in whatever way suits you and then take these mean machines to the track and show them off to the world. A great value game for people to get stuck into with some decent length of lastability. This would be a great game to add to your collection AND it won’t cost you a penny. Project cars is available to download with Gold from 16th Feb until 15th March. Offerings for the Xbox 360 this month are indeed something to write home about, its good to see that Microsoft haven’t completely given up on the aging console as they have arranged a couple of corkers for their Gold gamers this month. First up, you have the side scrolling classic Monkey Island 2. This game may be 26 years years old but the game play remains unparalleled with a humorous story that’ll raise the occasional giggle from even the most average of players. There’s loads to explore and do in game so could be something you can pick up on a cold and rainy Sunday morning. Monkey Island 2 is available from now until the 15th Feb. The second 360 offering comes in the form of the Xbox 360 smash ‘Star Wars: The Force Unleashed’. Originally released in 2008, this title was a great way to bridge the gaps in story from the prequals featuring some awesome visual effects and use of the force like you’ve never seen before. (Well, it looked good in 2008) Worth a go for any star wars nut in need of a light sabre to the face. Star Wars:The Force Unleashed is available for free from the 16th -28th Feb.
What are your thoughts on this month’s line up? What would you want to see featured in Games for Gold? Let us know.